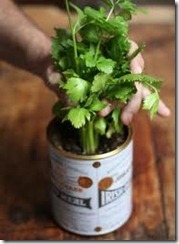 I recently stumbled across this topic on the website “Stumbled Upon” and decided I will plant my indoor garden today. 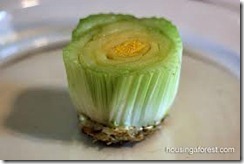 The story was all about growing vegetables from kitchen scraps – especially celery and green onions. This is so cool. 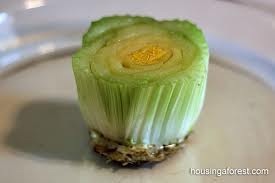 (Who knew that celery proliferation was all the rage?) It’s apparently quite simple: just cut off the stalks and stand the base in a small dish of water for a week or so until new leaves appear in the center. The leaves will be yellow at first, and once they really emerge and turn green, you can plant the celery in the ground or in a pot. The same is true of green onions. Simply place a bunch of scallions with their roots in a glass full of water, then place in a sunny window. 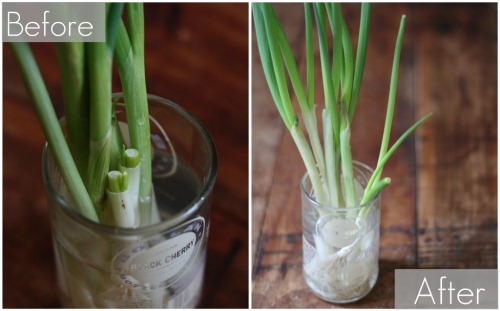 Cut off what you need to use in your cooking and the onions will literally regrow themselves almost overnight. No joke. 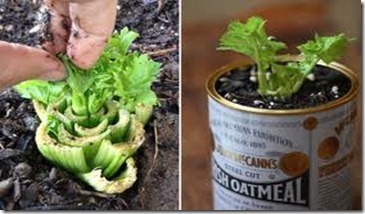 After the base begins to regenerate itself you can place it in potting soil and soon you will have fresh celery. No need to worry about pesticides. 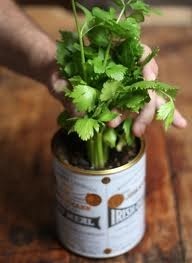 You will have green onions and celery all winter long growing in a sunny window. I understand the green onions will begin to lose some of their flavor after three or four “regenerations.” So you will need to start over occasionally. This entry was posted in Gardening and tagged Garden of Eaten, Grow your own onions and celery from room ends, Growing vegetables from scraps, Indoor gardening by Emily Jones. Bookmark the permalink.